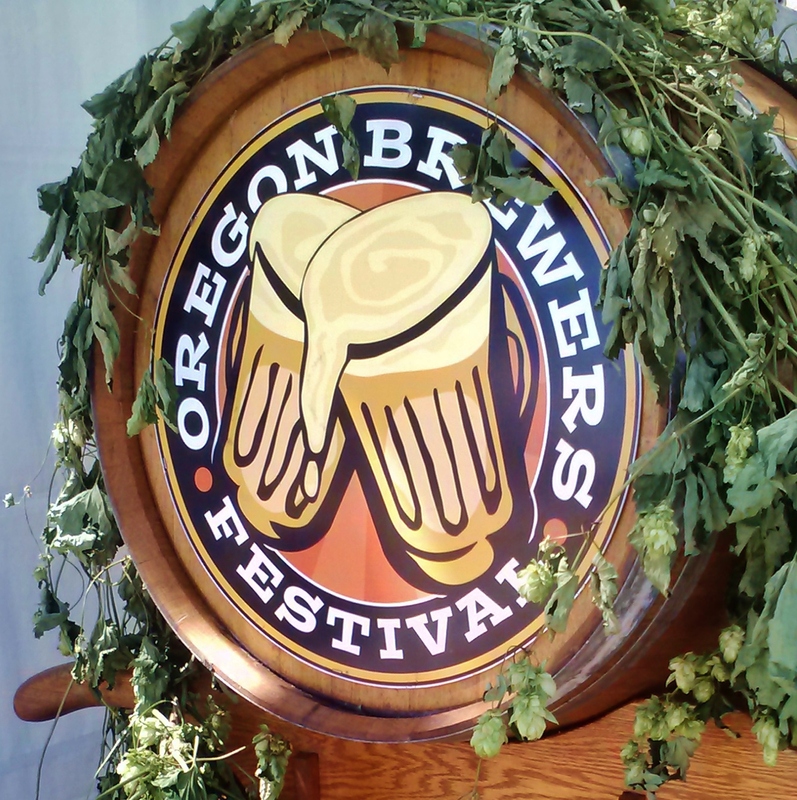 The Oregon Brewers Festival may be in full swing but we know festivals aren't for everyone, especially those that live here. So if you're looking for beers beyond OBF, perhaps one of our favorites from last week will be up your alley. As a bonus, three of the four came out of bottles/cans, a more convenient option for enjoying anywhere. The first two come from Avery Brewing Co. and their selection was prompted by our buddy, Chris. 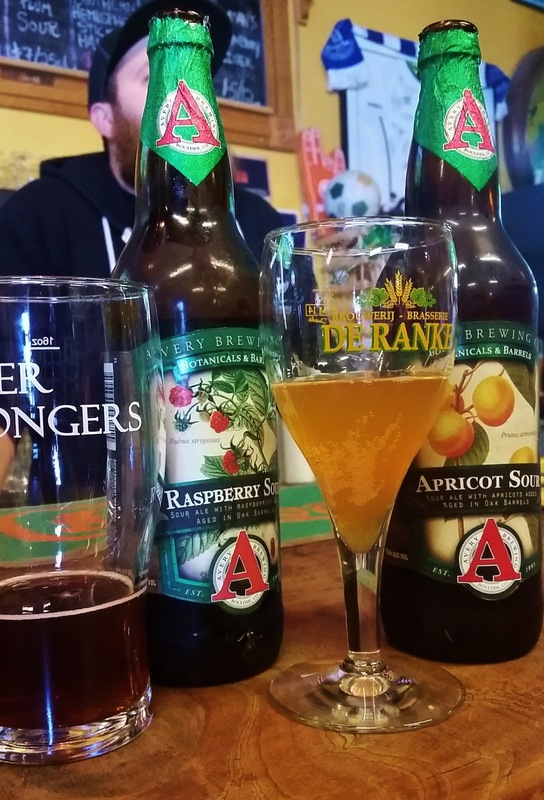 He grabbed the Raspberry Sour off the shelf first and we happily followed suit picking up the Apricot Sour. Before checking into Raspberry Sour we figured it was a new-to-us beer. However according to Untappd we'd actually enjoyed this two years ago and as a testament to how good it actually is, we enjoyed every drop of it just as much as we did last time. Thanks to Dan for the first go-around sharing of this lactic, red raspberry gem. The Apricot Sour was indeed new to us and equally enjoyable. Starting off with a fantastic, smooth apricot aroma from the "bushels" of apricots used, the barrel-aged tartness is more assertive on the aroma than the flavor, making for an all around delicious experience. The last of the packaged beer on the list comes from the Sierra Nevada Beer Camp Across the World box we picked up and have been slowly making our way through. The West Coast-Style DIPA, a collaboration with Boneyard, is our favorite we'd had from the box so far. Not surprising considering our love of hops and Boneyard's skill with them, in this case a combination of Citra, Centennial, Simcoe and Mosaic. Hop heads like us will enjoy all 16oz of this 8.3% DIPA. The one draft beer making this week's list begs to be enjoyed in the sun, which can happen on the Montavilla Brew Works patio or any outdoor venue when you get a growler filled with it. Summer Wheat is an American-style Hefeweizen with a 50/50 blend of Pilsner and Wheat malts with what we feel is just the right amount of blood orange puree (42lbs if you were wondering). At 5% one could drink this all day! Switching over for a bit of insight from "the big show" in town this week (aka OBF), we visited for a couple hours yesterday and focused on fruit/sour beers. Of the 12 beers that crossed our lips Boundary Bay Raspberry Radler was easily our favorite. Our tasting notes are here and for those curious as to which G & T we preferred during our back-to-back sampling, the winner in our book goes to Coin Toss Toss Tonic (sorry, Gigantic, yours was a bit too Gin-powerful for our delicate beer taste buds). - Upright Heirloom Saison - Delicious wood on the nose, complex flavor and still refreshing. - Baerlic Dropping Acid sour IPA - Starting with a sour aroma that brought a smile to our face, that smile was continued when the hoppy-stanky flavor hit our lips. - New Holland Thai Curry Dragon's Milk - This is a meal/dessert in a glass and you'll get bang for your buck (11% for a single tasting ticket). It gets our nod for those attending when lines get long and a full pour is in order. 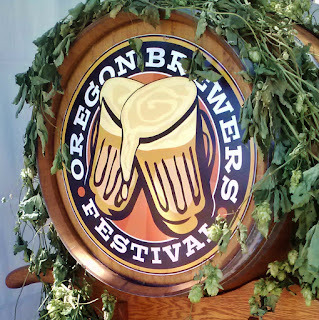 This time next week the 30th Annual Oregon Brewers Festival will be in full swing at Tom McCall Waterfront Park. Featuring over 90 independent craft breweries from 13 states plus one from The Netherlands and a Specialty Tent (which replaces the International Tent from the last couple of years) with 80 rare, bold and experimental beers that will rotate throughout the duration of the festival. In total, that's 170+ beers and try as we might, that's probably more than we can manage even if we camped out open 'til close all five days (which would make neither our livers nor our bosses very happy). With a mindset of pairing that incredible list down to something manageable we focused on scouring the Main Festival Beers. We'll definitely stop in to the Specialty Tent but won't be basing our festival plans around what's on tap when. Those will just be bonus. The review of Main Festival Beer list brought to light a couple of trends, and being they are to our liking, we decided to make them the focus of our drinking plans. Beers that were also listed as "unique to the fest" garnered greater pull in our decision making. The result is a list of 31 beers that even for us feels a bit daunting. But we'll give it our best! Coalition Honcho - An untraditional Kolsch made with Jacobson sea salt, fresh lime zest and fresh lime juice sounds like a perfect summer beer. Besides, Coalition knows what it's doing with zests and juices. Coin Toss Toss Tonic - Listed as an herb and spice beer this didn't initially catch our eye but then we saw "a deconstructed gin & tonic." We're looking forward to being the judge on that. 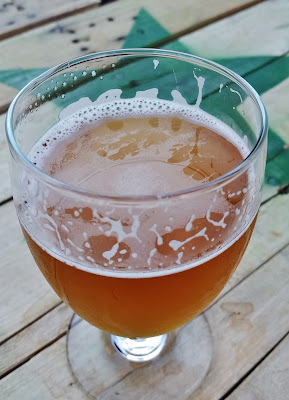 Ecliptic Espacio Mexican Lager with Lime Zest - John Harris makes great beer, no question, and while there's no lime juice used, the fresh lime zest might be the perfect compliment to the base beer. Ex Novo Cal Estupido - Great name (meaning "lime stupid") and fresh lime juice and sea salt added during the lagering. Gigantic G & T - Nothing inspiring about the name but Gigantic has a way with botanicals and we'll be intersted to see how prominently they stand out against the lime. Rusty Truck Tequila Lime Lager - We're not sure if the use of tequila oak spirals added post-fermentation will overpower the delicate lager base but if so hopefully the lime juice added at the end will balance it. Sasquatch KGB - A "Kremlin Ginger Blonde" it contains fresh organic ginger, lime and lime zest. Sounds like we should bring a copper mug to drink it out of. Heathen Mojito Sour - A take on another lime-focused cocktail, mint comes into the mix in this kettle soured beer (but also runs the line with our next category). Backwoods Blueberry Sour - Kettle soured with Nancy's Yogurt (based in Eugene) and using Rock Creek water (from Stevenson, WA) that is "some of the best water in Washington." Base Camp Brett Livin' - A "true lacto soured, Brettanomyces fermented ale, with raspberry added as puree late in fermentation" and get this, NO HOPS. Boundary Bay Raspberry Radler - A German-inspired, kettle soured beer with Oregon raspberry puree and dry hopped with Citra. Druthers The Dare - We're unfamiliar with Druthers (which hails from New York) but this gose took gold at the 2014 World Beer Cup in the German style sour ale category so it seems that it should be worth a taste. Eel River Organic Tropical Blonde Ale - While neither the brewery or the base beer does much for us it's the passion fruit and kiwi concentrates that caught our eye here. 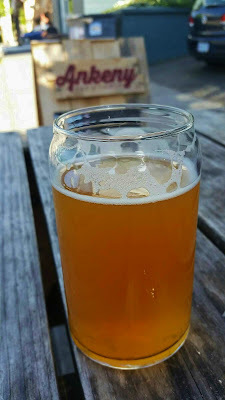 Elk Horn Siberlin - We've visited Elk Horn (in Eugene) just once but quite enjoyed their beers and this kettle soured Berliner-style Weisse with lychee fruit will hopefully back our initial impression up. Ghost Runners Chasing Fluffy Pink Unicorns - What a name!!! Then there's description that it's a "lightly fruited raspberry gose." Game on. 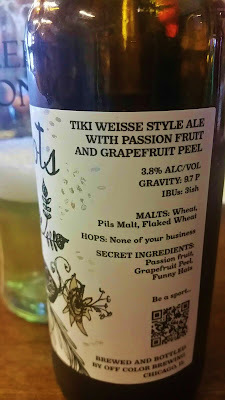 Ghostfish Dry Hopped Sour - A gluten-free, kettle soured gose? This could be the best GF beer ever...or not. We'll let you know. pFriem Guava Saison - pFriem has been hitting high notes with us lately so we'll take a chance on a base beer (not so much our thing) with guava (more of our thing). Three Creeks Dry Hopped Apricot Stonefly Session Ale - Both apricots and peaches often lend mild, smooth fruit flavors to beers and we hope that's the case with this "golden, light bodied ale." Hopworks Kiwi Sparkle & Pop - Combining both elements of this category, it's a tart wheat beer, kettle soured beer with a dose of kiwi, a fruit that is innately tart on its own. 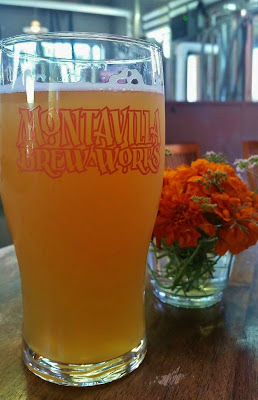 McMenamins Tropic Heat - McMenamins one-off beers tend to be great and a kettle soured ale brewed with pink guava puree, coconut and habanero peppers will hopefully find the perfect balance among its components. Goodlife Secret Stash #004 - The sour beer path takes a turn here with a kettle soured IPA. As for more details, those are secret. Baerlic Dropping Acid Psychedelic Sour IPA - Another kettle soured IPA, this one with El Dorado hops in the boil and dry hopped with Comet and Amarillo. Ordnance Raspberry SIPA - A SIPA? That would be a kettle soured, blended IPA with an infusion of raspberry flavor. The Rest: A catch-all category of beers that caught our eye because of their ingredients and/or because of the brewery that made them. 54 40' Art AllAzaccas - We love Bolt and the 54 40' crew but rarely make it up to Washington to visit them. Plus we quite enjoy Azaccas hops, the only hop used in this 6.1% IPA. Boneyard Enzymatic IPA - Because we know we're going to need a good IPA to throw into the mix and Boneyard knows what they're doing with hops. Double Mountain A River Runs Through It - An IPA made in collaboration with Fort George with lactose added in the boil, will this be the sleeper IPA hit of the fest? Burnside Cannonball! - An 8.3% strong ale is a bit of a daunting thought for beer festing but it sounds pretty damn interesting. C'mon, a triple hop-dosed beer aged in red wine barrels with tart cherries and pineapple, how can you pass that up? Widmer Collaborator Kentucky Kolsch - Kolsches aren't a particular love of ours but they're a good summer style and we're fans of the whole Collaborator idea. Increasing our interest level is the fact that homebrewer Charles Macaluso used dehydrated strawberries at the end of the fermentation process. New Holland Dragon's Milk: Thai Curry - An 11% bourbon barrel aged stout is the exact opposite of a summer drinker but a unique-to-the-fest Michigan beer seems like a must-try. Upright Heirloom Saison - Saisons aren't our favorite but this blend of a vintage strong Saison aged in barrels for 18+ months and a carbonic chardonnay cask version of Saison Vert (a black lime wheat-based brew) will probably be fantastic based on Upright's superior blending talents. Nope, we didn't make a mistake on the date range in the title and you didn't read it wrong. This is a special, we-got-really-busy-moving-into-a-new-house double edition of Best Things. We only moved about a mile away from our previous house but whether one is moving a mile or a few thousand miles away the drill is the same and it keeps one really, really busy. So while we were still enjoying the hop juice, our writing about it got pushed to the back burner. Fire on the Mountain Shocks of Sheba - The day we took possession of the new house we took our new house keys out to our favorite restaurant in town, Fire on the Mountain (Burnside), and celebrated the only way we know how - beer, wings and fries! This was one of the first beers Fire on the Mountain made when they started brewing and if we recall correctly, it has evolved with the current recipe now quite readily holding its own in the land of PacNW IPAs. Culmination Obscured By Clouds - After a busy week and finally feeling more settled than not into the new place we headed out for a relaxing end to the week with beers and dinner at Culmination. Part of the current hazy IPA trend that we're fans of, this beer was citrusy and bright but also smooth. If you're a hazy IPA fan as well, make sure to try this before it's gone. With only two beers living up to Best Things standards last week we wanted to reward you for your patience with our lapse so here's a rewind to the previous week, July 3 - 9, before we kicked into high gear on the moving front. 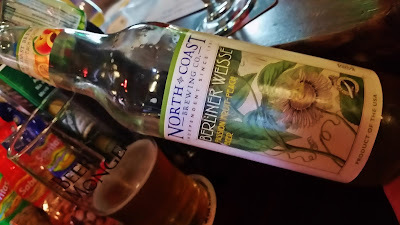 North Coast Passionfruit-Peach Berliner Weisse - This is the second Berliner Weisse that we've had from North Coast and while we were skeptical with the first one from a brewery that we tend to associate with stouts, we were excited to see another arrive on the shelf. This beer, with its peach Scratch 'n Sniff aroma and mildly tart but full-of-fruit flavor, solidifies their Berliner Weisse chops with us and has us looking forward to the next one. Coalition Herbs of A Feather - The second beer in their Two Flowers Series of beers that are infused with CBD, it's lemony and super yummy. The basil is subdued and fills a supporting, complimentary role in this summery, lightly sour beer. Consume out of doors on a sunny day for maximum enjoyment. We're big fans of Ruse Brewing, both the beers Shaun is making and Shaun himself. We're also super excited for and about the opening of their own space in SE PDX near the Max Orange Line later this year. Two of their beers conclude this week's list, one we'd had before and one that is new to us. Papyrus Iris - Another hazy IPA that hits the mark, our friend Warren nailed it with his description that this is a lighter, fruiter version of the current, ever-so-delicious version of Fort George's 3-Way. Multibeast - We tried this beer for the first time over a year ago and loved its burgundy barrel-aged farmhouse, conditioned with Brett flavor from the get-go. Subsequent drinking of it has continued to confirm that they've got a solid winner in this beer. We hope you're enjoying the summer, now at an approximate midway point, along with plenty of delicious beer. Cheers to our friends, near and far! On this Independence Day we hope you have the pleasure of enjoying an extra day of independence from the regular work grind. And perhaps you'll indulge in some day (morning?) enjoyment of delicious beer. Not sure of where to start? Lucky you, we have some suggestions to make today great. Whether you're starting off with morning drinking or looking at a long, lazy session for today, starting out on the lower end of the ABV spectrum might be the way to go (but hey, if a barley wine is calling your name first thing who are we to disagree?). 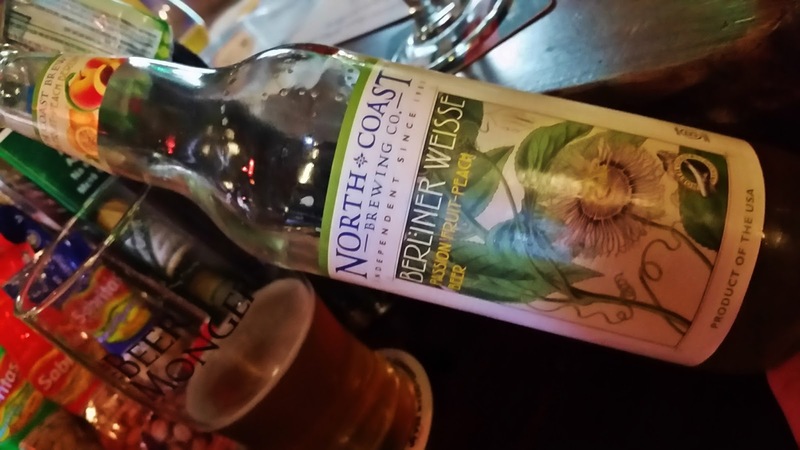 Off Color Spots - Our exploration of Off Color beers hailing from Chicago has produced very delicious results, including this great Berliner Weisse. The passion fruit flavor is balanced by the grapefruit and it has a killer label to boot. At 3.8% it's closer to juice than beer and a perfect way to being the day. Evil Twin Tropical 'Itch - Another Berliner Weisse, found in wonderfully portable 12oz can form, starts us climbing up the ABV ladder ever so slightly. 4.5% and with a similar passion fruit profile, it showcases the great tartness and light, drinkable characteristics that make it great for morning/all day/warm weather enjoyment. 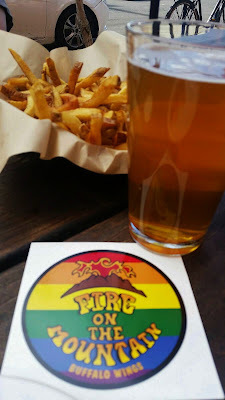 Baerlic Test Flight - Transitioning out of the realm of mild sours, because for most of us there is a limit to how much (delicious) acid we can take, the new world hops used give this beer a pleasant blend of Pacific Northwest flavor and tropical flare. A session IPA clocking in at a mere 5% helps bridge the gap to our favorite style - IPA. Fort George 3-Way IPA - We're seriously digging this most recent iteration of 3-Way, which in case you've been living in a cave, is a collaboration with Great Notion and Reuben's Brews. At 7% (that's sessionable, right?) the combination of fruit-forward Azacca, X331, Mosaic and Citra hops drinks refreshing and easy. Supplies are dwindling but you're likely still able to find some on tap or in cans around town. Stillwater Artisanal Wavvy Batch 1 - Technically a double IPA, it's double-hopped with Nelson, Simcoe and Centennial hops to create a beer that is juicy but still plenty hoppy. 8% won't do you in right away but remember, water is your friend (and not just the water contained within this lovely yellow and green 16oz can). Whatever you're drinking, raise your glass to great American craft beer!